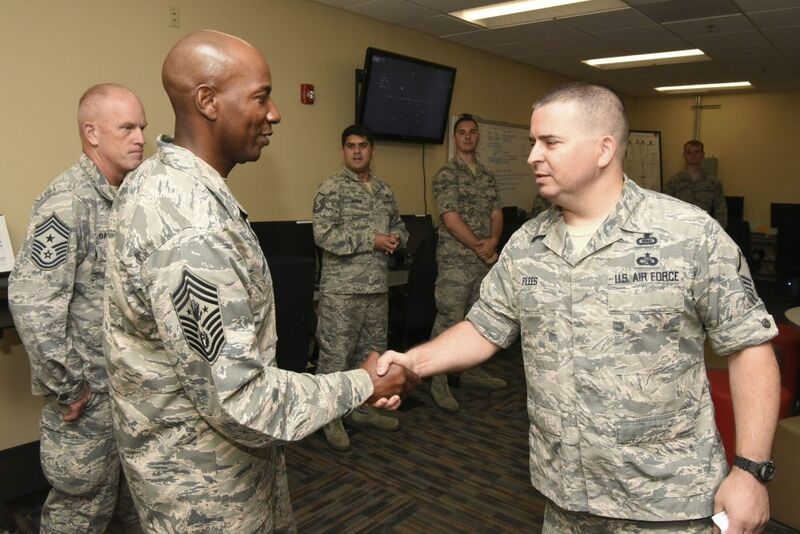 The CMSAF, Chief Wright, visited DJ's work and DJ got to brief him with his team. It was only 15 minutes, but it was very cool. DJ shakes hands with the CMSAF as he comes into DJ's work area.